Green Laker: A Good Day! Another great day in Carlsbad. Under a cloudless sky we headed out to the beach (South Ponto). Celeste made us her interpretation of various foods using found objects. 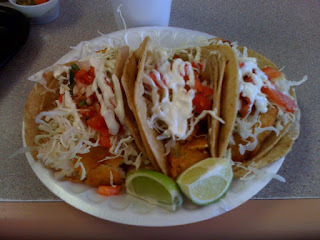 Hit Kotija Jr. in Encinitas for the best fish tacos (even if they are served on styrofoam). 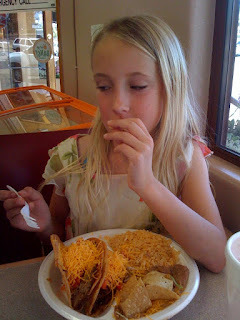 Celeste had a beef taco plate. Hold the lettuce! 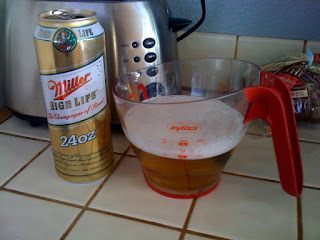 Later we had friends over for a summer Sconnie meal. 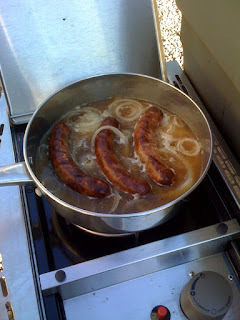 Wisconsin-style brats on the grill. You mean I've been doing it wrong? 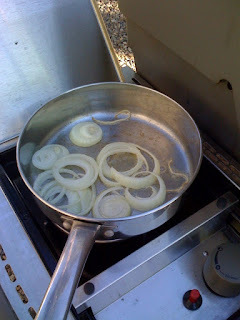 Folks I know around these parts boil THEN grill. Oh, I'm so confused!